Adding files to your work can be done on the left side of your project. 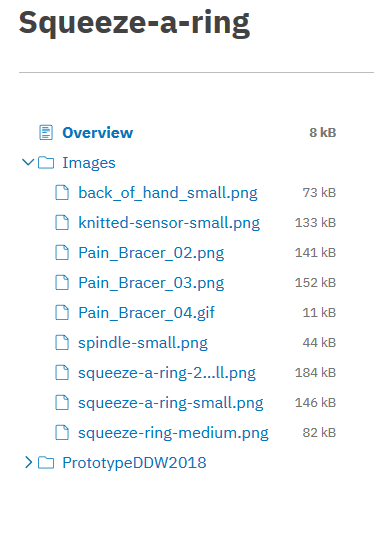 This is where you’ll see an overview of the files in your work. When logged in you will see these two buttons. The left button enables you to add assembly guides, the other on enables you to add files. You can add files by drag-and-dropping them in the grey field, but you can also click on the grey field and upload them. 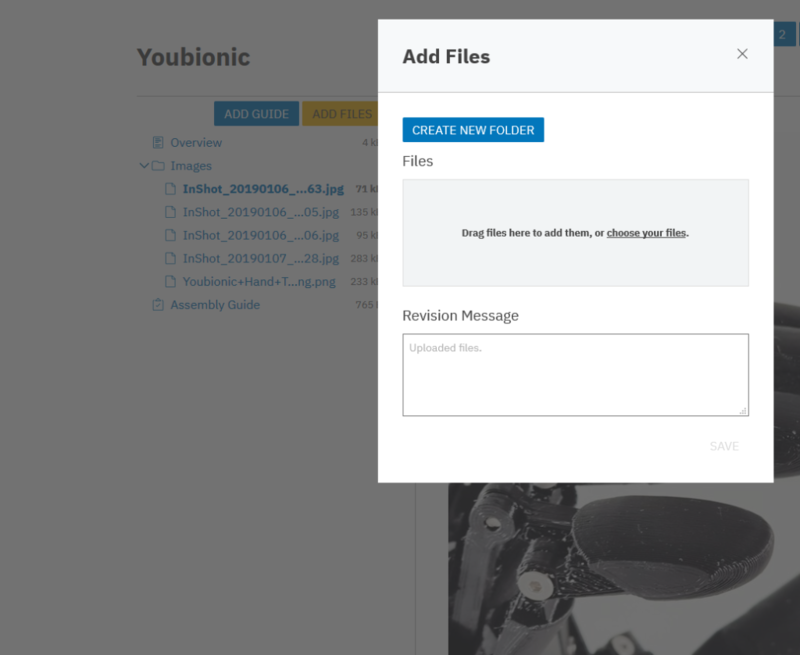 If you want to put the files in a new folder, then you can create one using the blue button. The “Revision Message” box enables you to leave a revision message. This gives you the opportunity to later on see what you did, in case you want to reverse your action in the future.